The City of Rye has signed on to a program called Westchester Power Community Choice Aggregation (CCA) that takes effect in March 2019. As of December 2018, 25 Westchester municipalities have signed up for this program, representing over 100,000 Westchester electric customers and over 40% of the County’s population. 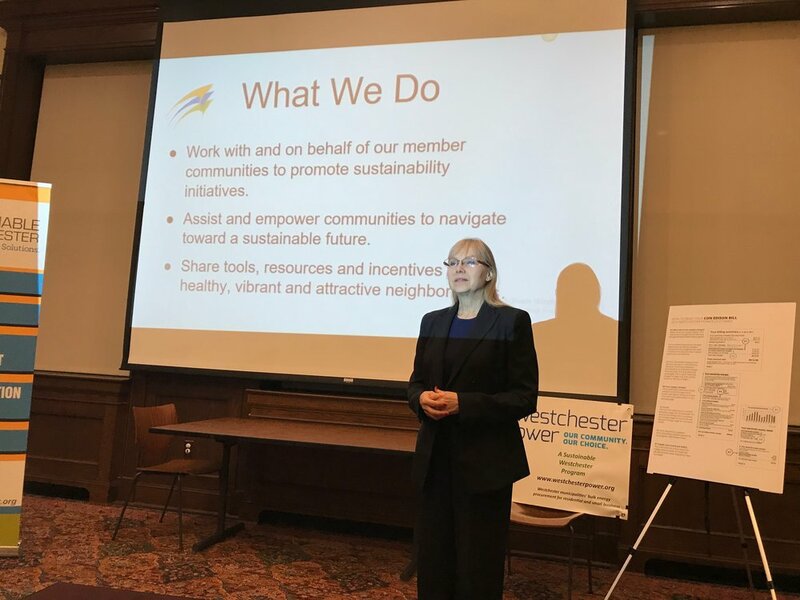 Westchester Power’s CCA program was approved by the NY State Public Service Commission in 2015 and is administered by Sustainable Westchester, a non-profit consortium of municipalities that addresses critical sustainability concerns within Westchester County. 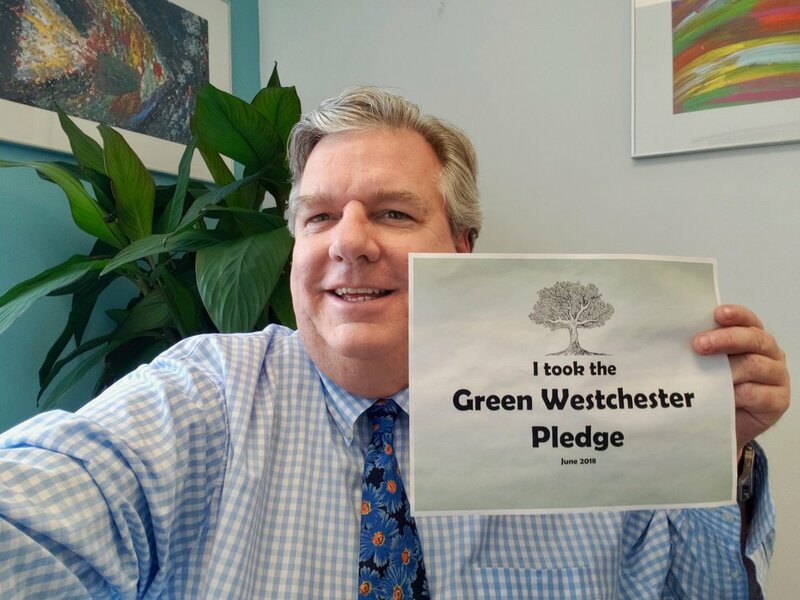 The City of Rye, along with virtually every municipality in Westchester, is a member of Sustainable Westchester. Westchester Power’s CCA allows member municipalities to pool their communities’ electricity demand, which builds the clout necessary to negotiate fixed, low rates with private suppliers andallows us to choose cleaner energy. In late 2018, Westchester Power solicited bids from energy providers to supply electricity to over 100,000 residents and small businesses within the County. Starting in March 2019, Rye residents and small businesses will be automatically enrolled in the program and will receive a two-year fixed price for electricity supply that is lower than the 12-month trailing average price offered by Con Edison. Even after City residents and small businesses begin receiving their electricity supply through Westchester Power, Con Ed will continue to deliver that electricity, and you will continue to receive a single bill from Con Ed. In addition, Rye has selected the “Green” 100% renewable energy option, which means that 100% of the electric power purchased is from clean, renewable sources: sun, wind or water. No coal. No gas. No oil. No nuclear. If you don’t want to participate in the CCA program, you and any other Rye resident can opt out, or even downgrade from “Green” to “Brown” power, at any time, for any reason, and with no charge or penalty. Similarly, if you’d like to opt back in, you can do so, at any time, with no penalty. Most importantly, because the Westchester Power’s CCA program is run by Sustainable Westchester, this is not similar to a profit-making ESCO that can attach penalty fees for exiting, and/or ratchet up the price of your electricity after some period of time. Those types of tactics have absolutely no place in this program and will not happen here. Westchester Power representatives explain CCA at a recent Rye forum. To learn more about CCA, please contact Sustainable Westchester's CCA administrator, Westchester Power: 914-242-4725. 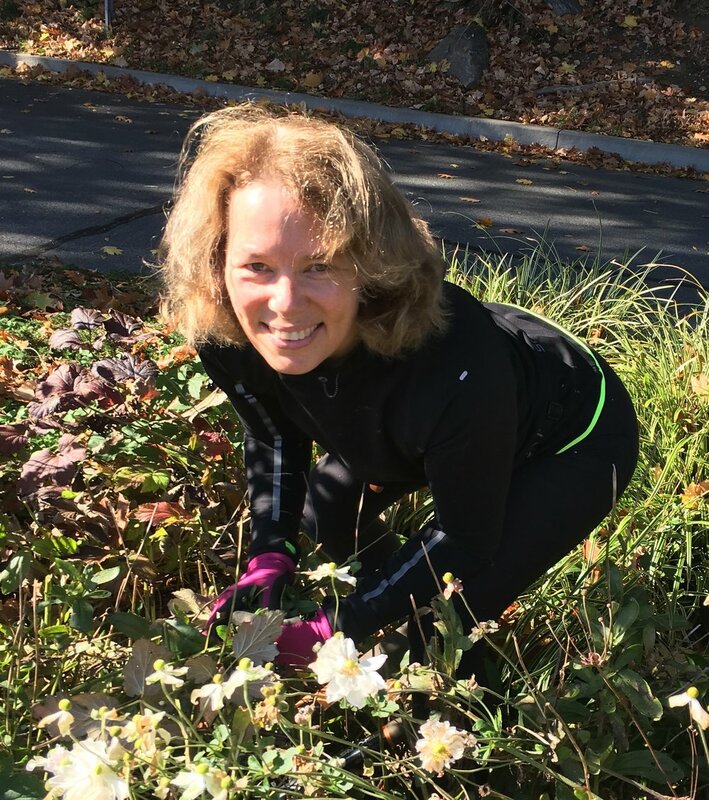 Thanks to the tireless efforts of Rye Sustainability member Linda Mackay, the City of Rye earned Clean Energy Community designation on September 26, 2018 for its commitment to cut costs and reduce energy consumption. A program of the NY State Energy Research and Development Authority, acceptance in the CEC Program provides municipalities greater access to "implement clean energy actions, save energy costs, create jobs, and improve the environment. In addition to providing tools, resources, and technical assistance, the program recognizes and rewards leadership for the completion of clean energy projects." The first CEC benefit was realized just this month with the award of a $5,000 NYSERDA CEC grant for a Rye Sustainability community composting initiative. Read more about Rye’s designation in the press release, below. The City of Rye (Rye) today announced it has been designated a Clean Energy Community by the New York State Energy Research and Development Authority (NYSERDA), recognizing its leadership in reducing energy use, cutting costs and driving clean energy locally. Rye received the designation for completing four of 10 high-impact clean energy actions identified by NYSERDA as part of the Clean Energy Communities initiative. In addition, the designation gives Rye an opportunity to apply for up to $5,000 toward additional clean energy projects, with no local cost share. “The City of Rye is grateful to the New York State Energy Research and Development Authority for this recognition and the related grant opportunity. The City thanks the Rye Sustainability Committee (and especially Linda Mackay) and City staff for doing the hard work that has brought us the many benefits of being a Clean Energy Community,” said Josh Cohn, Mayor, City of Rye. LED Street Lights - Converted street lights to energy efficient LED technology (1038 bulbs replaced with LED). 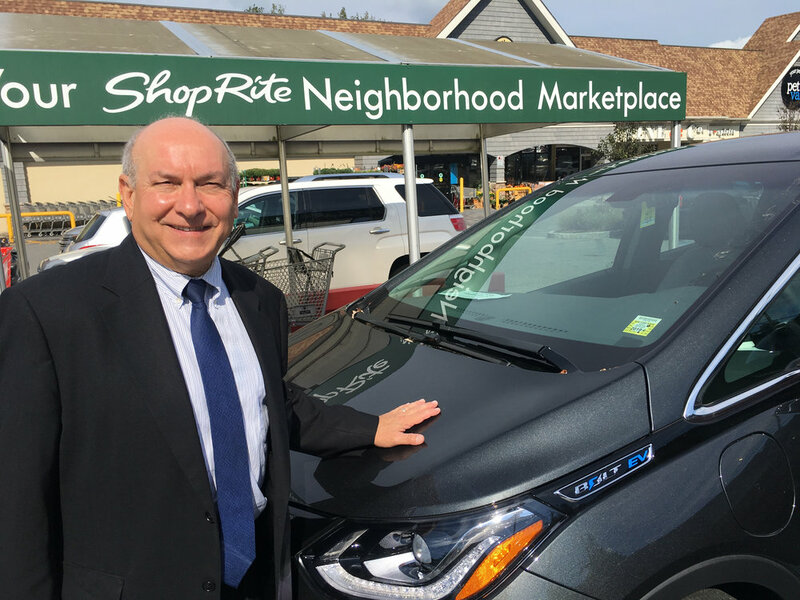 Clean Fleets - Installed electric vehicle (EV)charging stations or deploy alternative fuel vehicles (Rye purchased four EV’s: Chevy Bolts; April 2018). Energy Code Enforcement Training - Trained compliance officers in energy code best practices (three employees from Rye attended in April 2018). Energize New York Finance - Offered energy upgrade financing to businesses and non-profits (Rye became a member of the Energy Improvement Corporation in 2015). Streamlining the local approval processes for solar projects through adoption of the New York State Unified Solar Permit. Adopting a benchmarking policy to track and report the energy use of the municipal buildings. Once all funding is exhausted in a region, local governments designated a Clean Energy Community are eligible to apply for a $5,000 grant, on a first-come, first-serve basis until such funds are exhausted. Clean Energy Community Coordinators are also available at no charge to help communities to develop and prioritize clean energy goals, access easy-to-use resources such as guidance documents and case studies, and take advantage of available funding and technical assistance opportunities. For more information on Clean Energy Communities, visit NYSERDA CEC. Local government officials or employees can find contact information for their respective coordinator here for assistance navigating the program. A large group turned up at the Rye Free Reading Room on Monday evening when representatives from Sustainable Westchester - a non-profit consortium of municipalities that addresses critical sustainability concerns within Westchester County - presented their overview of Community Choice Aggregation (CCA) and what it means for Westchester County. 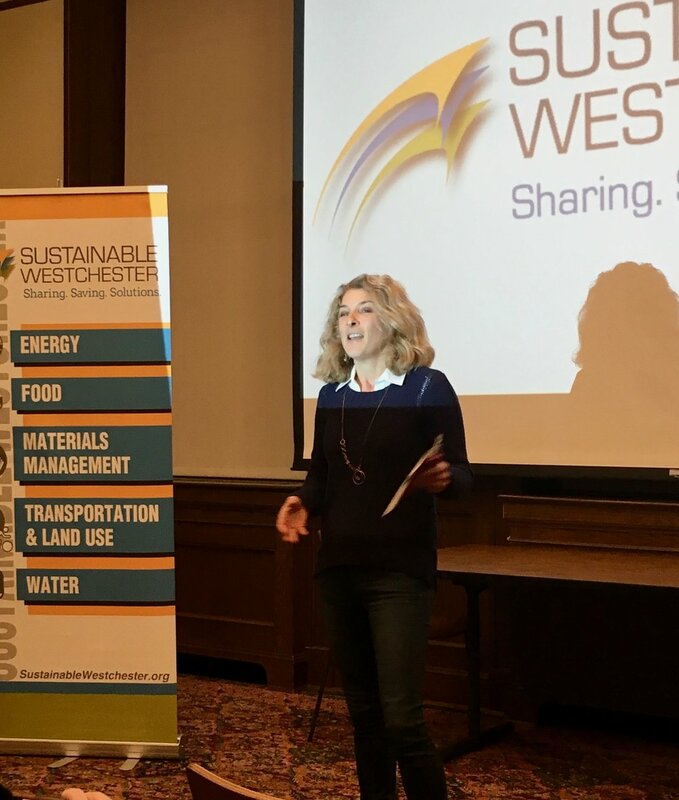 Twenty* Westchester County municipalities - nearly half of Westchester's towns, villages and cities - are currently participating in Sustainable Westchester's CCA program, Westchester Power. For those who were unable to attend, Rye TV filmed the presentation and Sustainable Westchester provided digital copies of their presentation and handouts, which can be found below. 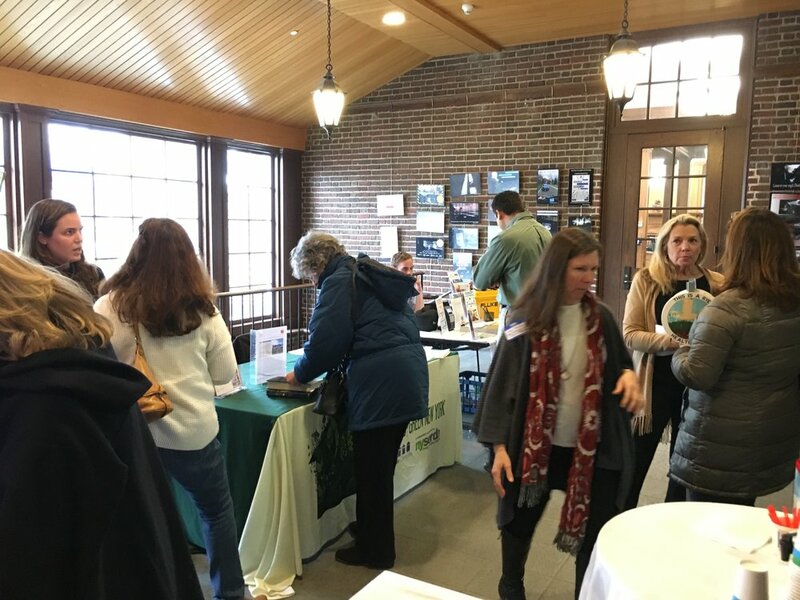 Rye residents and people from neighboring communities showed up at the Rye Free Reading Room on April 1 for Rye Sustainability's first home energy efficiency workshop. The free event was geared to the homeowner who wants to learn how to make his or her home energy efficient while saving money. A panel of industry experts presented and answered a wide variety of questions, ranging from free home energy assessments to New York State programs that help homeowners finance energy efficiency projects. Attendees also learned about residential renewable energy options, including solar, geothermal and pellet stove heating. Delicious refreshments were provided by Le Pain Quotidien in Rye. Thanks to Rye TV, the event can be viewed here. 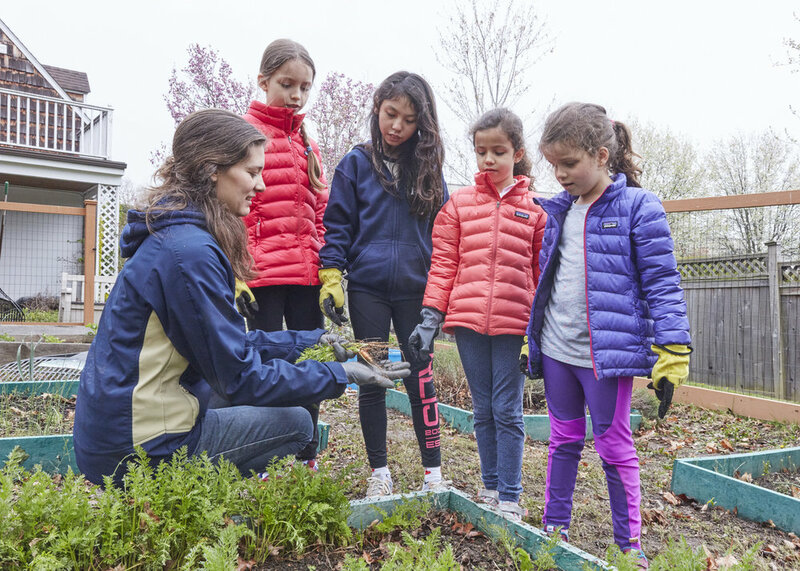 RSC's ongoing series, "Sustainability in Our Community," features individuals, organizations and businesses that have taken steps towards a sustainable lifestyle. We hope you enjoy this profile of Le Pain Quotidien's energy efficiency efforts, are inspired to learn more, and will consider making changes to reduce your home or business' carbon footprint. Tips below. Rye Sustainability Committee recognizes global restaurant chain Le Pain Quotidien for becoming certified CO2 neutral in all its U.S. restaurants. A mainstay of the breakfast and lunch scene in downtown Rye, and highly visible on Purchase Street, Le Pain Quotidien (LPQ) serves local, mostly organic foods, including fresh bread. It now delivers a message of sustainability. With dozens of locations across the U.S. and more than 200 restaurants worldwide, LPQ announced in October 2016 that the independent organization CO2logic has certified their U.S. restaurants as carbon neutral. It plans to achieve global carbon neutrality by 2020. LPQ staff with the CO2 Logic certification plaque. CO2logic helped LPQ identify its major sources of energy consumption and leakages. Switching to LED lights and using more efficient refrigeration, cooking and cooling mechanisms were some of the ways they cut restaurants’ emissions. By switching to LED lighting, for instance, the chain reduced by 20% its carbon footprint per restaurant. It has reduced its overall energy consumption by 60% and its carbon emissions by 168 metric tons. A final step towards achieving carbon neutrality was the decision to invest in a carbon-reducing project in Uganda to offset the remaining unavoidable emissions. The project provides families with fuel-efficient cookstoves that reduce carbon emissions and deforestation. Initiatives that reduce water and energy consumption and cut pollution and waste will improve any business’ bottom line. They also benefit from providing employees with a workplace they can be proud of. By reducing carbon emissions and its carbon footprint, LPQ hopes that they can inspire other corporations, organizations and individuals to do the same to help mitigate climate change. Wondering how to get started? Whether you're a business owner or homeowner, start with an energy audit to determine your carbon footprint. The RSC Tips page includes several ways for residents to determine their carbon footprint. Businesses can engage a consultant, such as CO2logic. For further energy efficiency ideas and tips, refer to RSC's Energy page and The Rye Sustainability Plan. Is an Electric Vehicle Right for You and Your Budget? An example of Watt Plan's personalized summary. Click to enlarge. EPA's Green Vehicle Guide: In addition to providing an overview of "green" vehicles, this guide includes fuel-saving tips, information about fuel economy savings and a search function for finding fuel-efficient vehicles in your area. NYSERDA's Watt Plan is an excellent resource for determining the savings potential of an EV. It helps consumers make informed decisions on whether an EV is a good investment by calculating savings potential based on driving habits, home electricity use, and available tax incentives. You can also learn about how adding rooftop solar power to your home can increase the benefits of driving an electric vehicle by charging it with solar power. The Sierra Club EV Guide: By taking a short quiz, this site helps you determine which type of EV is best for you and then includes a guide to research cars, calculate CO2 and fueling costs savings, and learn about EV incentives in your area. Green Car Reports lists a number of different buying guides on its site, including model-specific and annual reviews. So take a look and see if an EV is right for you. Rye residents own more EVs (78, according to NYSERDA data) than their neighbors, but we can do better. And once you buy your EV, check out where the charging stations are located on Plugshare or Chargepoint. According to New York State Energy Research and Development Authority, almost 26,000 New Yorkers claimed $23 million in tax credits for clean transport infrastructure and solar investment in 2014. You could do the same by taking advantage of multiple tax credits available for "going green" by conserving energy and reducing carbon emissions. New Yorkers are eligible to claim the solar energy system equipment credit if they've purchased solar energy equipment, leased the equipment, or have agreed to purchase energy produced by a solar energy system for at least ten years. The credit is equal to 25 percent of the expenses related to the qualified solar energy system after subtracting grants from NY-Sun, and is limited to $5,000. Property owners or their business can claim a credit worth up to $5,000 for investments in new alternative fuels vehicle refueling property or electric vehicle recharging property. For Tax Year 2014, nearly 26,000 environmentally-conscious New Yorkers claimed $23 million in credits for these programs. One of Governor Cuomo's environmental initiatives, NY-Sun, is working to move the state closer to a sustainable, self-sufficient solar industry. The growth of solar energy installations in New York State has increased 575% between 2012 and 2015 and strong demand continues. New York State now ranks fourth in the number of people employed in the solar industry and fifth in total annual solar installations, up from ninth in 2013. How Does New York's Clean Energy Future Look? How Can You Help? A new database released by The Center for the New Energy Economy at Colorado State University and The Nature Conservancy contains a wealth of information on the varied energy policies adopted by 38 states, including New York. The State Policy Opportunity Tracker (SPOT) for Clean Energy outlines state policies in the areas of renewable energy, energy efficiency, financing, infrastructure and transportation. You can view the New York profile here. According to the Nature Conservancy, "The SPOT for Clean Energy is not a score card. Instead, it benchmarks clean energy policies, enabling the user to analyze both the status quo for a state and where there may be opportunities for growth in the future on clean energy. It draws from data sources of 18 organizations." Does all this information seem too wonkish and beyond your ability to take action? It shouldn't be! Each one of our individual actions can make a collective and significant contribution to helping reduce the carbon footprint of our community, state and nation. For some inspiration, read the recent New York Times article featuring a small village in England where residents banded together to reduce greenhouse gas emissions (up to 40%) by doing simple things, such as using clotheslines, taking fewer flights, installing solar panels and glazing windows for insulation. If Ashton Hayes Village residents can do it, so can Rye! For some tips on how to reduce your carbon footprint see our RSC Tips Page. For more information about RSC's community greenhouse gas emissions audit, visit the Energy Section of our Rye Sustainability Plan. Contact us if you'd like to get involved. We'd love to hear from you! Reforming the Energy Vision: What Is It and Why Should We Care? The ultimate goal is to reduce greenhouse gas emissions 80% by 2050 and create new jobs and economic opportunity throughout New York State. Why should you care? Assuming all goes as planned, REV will ultimately help lower your electricity bills and create a cleaner environment for all New Yorkers. To learn more about REV, visit their website and watch the informational video below. You can also see examples of REV projects near Rye here. In New York, the energy system of tomorrow is taking shape today. What does the grid look like? Watch this video to learn more about the vision behind New York's plan for a clean, affordable and resilient energy system for all New Yorkers. Con Ed's Home Energy Report: How is Yours? Rye resident and FCWC board member Carolyn Cunningham congratulated ConEd on their Home Energy Report pilot program. The post, which can be found in the July 2016 FCWC newsletter is reproduced here. I hope you also received "Your Home Energy Report" as we did in the mail from ConEd a month or so ago. It told us that our house had used 57% less energy last year than our neighbors and that it saved us about $1,720 for the year. It also told us that we had used 30% less energy (than our neighbors) last month. These reports are provided to help us all "make smart energy decisions." It was gratifying to have them confirm that by not using my clothes dryer, but using the lines in the basement for drying our clothes plus being careful to turn off lights that we were not using it had paid off so handsomely. I had stopped using the dryer (almost entirely) as something I could do to fight climate change - I knew that would cut the Green House Gas (GHG) production from our personal energy use, but not by how much. If you have any questions about these reports you are told to contact them at 1-212-460-4738 or at energyreports@conEd.com. I now suggest it would be a great idea if all FCWC members would contact them (even if you can't find your report any more) because I was told that this is a pilot program of theirs only being carried out in Brooklyn and Westchester. If the program is well received, they will expand the program. Congratulate them on the program and it may well reduce New York State's GHG production even more. FCWC thanks you. On Monday, June 20th - fittingly, the summer solstice, and the longest day of the year - 500 people gathered at John Jay College in New York City to hear about everything solar at The New York Solar Summit. There were six panel discussions and a keynote speaker; all knowledgeable senior business professionals or representatives from government agencies, who talked about the latest advancements and achievements in solar energy policy, projects and technology in New York State. To kick off the day with a bang, the exciting news was announced that the NY Solar Map and Portal, developed by the City University of New York (CUNY), was now “live.” This dynamic, multifaceted website assists individuals and decision-makers in NY State communities by allowing them to see properties and provide estimated costs and savings for solar rooftop installations. It also provides guidance and information on permitting, financing and connects users with local solar opportunities. Summit attendees were challenged to spread the word about the Map on social media and were offered a $250 donation for the most “likes” and “shares” of nysolarmap.com. Friends of Rye Sustainability Committee was the proud winner of that donation!! The biggest takeaway from the summit was the importance of New York State as a solar energy leader in our country. New York is the fastest growing solar market in the U.S., up 575% from 2011to 2014. Solar jobs and manufacturing are increasing at twelve times the rate of the rest of the job/manufacturing market. Thanks to Governor Cuomo’s energy policy strategy Reforming the Energy Vision (REV), building clean, resilient and affordable energy solutions for New York is becoming a reality, with solar energy a major focus. New York's Clean Energy Standard mandate requires 50% of the State’s electricity to be sourced from renewable energy sources by 2030. To help meet this goal and to stimulate the marketplace, $1 billion in incentives have been made available through New York State Energy Research and Development Authority (NYSERDA) NY-Sun programs, including Community Choice Aggregation, Solarize campaigns, and Community Distributed Generation. Visit NYSERDA's NY-Sun page to learn more about NY-Sun and its programs. In New York City, Mayor Bill de Blasio has committed NYC to an 80% reduction of greenhouse gases by 2050 and has invested more money in solar of any city in the country. Currently, NYC has 8.8 MW of solar energy installed, with 35 schools having installed rooftop solar. The ultimate goal is to generate up to 100 MW of solar from city properties by 2025. Many of these solar projects should be eligible for NYSERDA’s NY-Sun Community Distributed Generation initiative status, where renters, businesses, schools, and homeowners become members in a project and share the solar electricity produced, thereby getting credits on their utility bills. Besides NYC, an exciting solar project in Western New York is about to break ground. The project is located in the town of Tonawanda, NY, just outside Buffalo. Their town of 75,000 people has limited resources, and with municipal electric bills totaling $4 million per year, Tonawanda welcomed a cost-saving solution. The Town has recently signed a Power Purchase Agreement (PPA) with SolarCity, which will build, own and operate an 8500 solar panel array over 10 acres on Tonawanda's capped landfill, at no cost to the Town. Savings are estimated at approximately $4 million over four years. If all goes according to schedule, construction will take place October through December of 2016, and the project will be operational by February 2017. You can read more about the project here. The importance of advancements in solar technology was also addressed at the Summit, with discussions of battery storage and microgrids. Storing solar energy in batteries for later use has progressed from “can it be done?” to “when will it be available?” Storage technology is currently where solar was ten years ago but is advancing at a very rapid pace. Companies such as Tesla, Sunverge, and Sonnen are working with utility companies to integrate solar and storage. As a pilot project, Con Edison will outfit 300 homes in Brooklyn and Queens with leased high-efficiency solar panels and lithium-ion battery energy storage systems. The New York Solar Summit was an inspiring day, filled with lively discussions, optimism and pride in the progress New York State has made and continues to make in its commitment to solar energy as a realistic, affordable renewable energy source. Turn the Lights Off and the Savings On! Here's a simple way for Rye businesses to participate in a global campaign - Daylight Hour - to promote the use of daylight in lieu of electric lighting in office spaces. Daylight Hour is an annual social media campaign, organized by the Building Energy Exchange. Launched in 2014, this simple and engaging campaign asks participating offices to turn off their lights in day-lit spaces for one hour on the Friday before the summer solstice. Leading up to and during this hour, offices around the world share their involvement on social media, engaging their communities and showcasing their environmental commitment. Last year, 300 offices in more than a dozen countries participated, demonstrating that daylight can light our workspaces, save money, and reduce our environmental impact. The Daylight Hour is a simple campaign that enhances the office environment, encourages more sustainable practices, and connects a broad population to the tangible ways our buildings use energy. The 2016 Daylight hour in on June 17, at Noon. The Daylight Hour is a great way to engage your community and demonstrate your environmental commitment. Small steps, like Daylight Hour, can build awareness about how our buildings use energy. Participation is easy - it only takes a couple of minutes to sign up, and all you have to do is turn off the lights in your day-lit spaces from Noon to 1pm on June 17. The Daylight Hour provides templates for internal and external communication, as well as social media tools - so make sure to showcase your involvement on your social media channels. The Daylight Hour heavily promotes participants and gives awards in both technical and creative categories. Visit www.daylighthour.org for more information. On July 8, 2015, the Rye City Council passed a resolution making Rye a Climate Smart Community. The Climate Smart Communities (CSC) program is a New York State initiative to help local communities reduce greenhouse gas (GHG) emissions, prepare for impacts of climate change and save taxpayer dollars. The program is designed to address 10 focus areas outlined in the CSC 10 Pledge Elements. This CSC profile outlines Rye’s progress through the 10 pledge elements. Detailed information on actions completed, in progress, and identified for future action can be found in the CSC Profile.